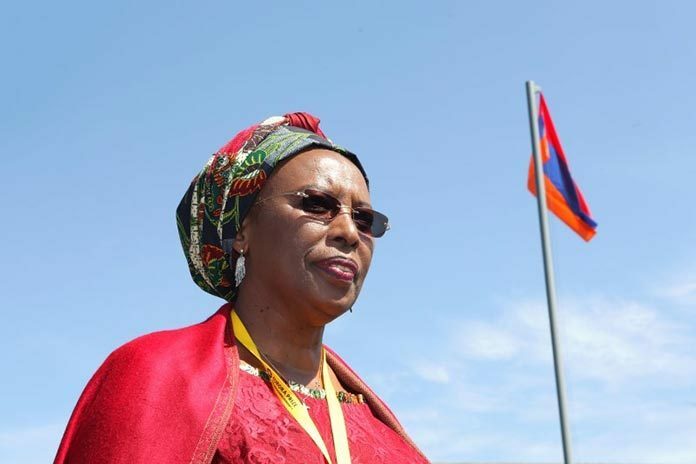 Marguerite Barankitse, a Burundian activist credited with saving the lives of 30,000 children, has become the inaugural laureate of the Aurora Prize that was handed to her in a ceremony held in Armenia’s capital Yerevan on April 24. Other finalists included Dr. Tom Catena from Sudan, Syeda Ghulam Fatima from Pakistan, and Father Bernard Kinvi from the Central African Republic. Barankitse received the award from Hollywood star and rights activist George Clooney, and the awards ceremony was hosted by Washington Post editor David Ignatius, and opera singer Hasmik Papian. As the Aurora laureate Barankitse received 100,000 USD as well as a million dollar grant to nominate to a charity or organization that has inspired her. Barankitse works at Maison Shalom and REMA Hospital in Burundi. She saved thousands of lives and cared for orphans and refugees during the years of civil war in Burundi. Being a Tutsi, Barankitse hid 72 of her Hutu neighbors who had been chased. However, they were found and killed in front of her. After this brutal incident Barankitse devoted her life to the cause of refugees and childcare. She founded a hospital in 2008, where so far 80,000 people have received medical care. The award bears the name of Aurora (Arshaluys) Mardiganian. As a child, during the years of the Armenian Genocide, Aurora witnessed the murder of her father and brothers. Aurora survived through all dangers and told the world about the atrocities that occurred in the Ottoman Empire in 1915. “Armenia had existed for a long time before the word ‘genocide’ was coined though it was not yet introduced into our vocabulary. This is based on cruelty, not on self-defense, not even on a war, but on an extermination plan of a whole nation. The simple truth is that we are all here as a result of someone’s good work,” said Clooney, a co-founder of the Not On Our Watch humanitarian initiative, during the award ceremony. Barankitse, who last year was forced to flee to Rwanda once again, said she will use the grant, and the million dollar prize, to further her work in the region as violence erupts in Burundi once again. “I am a very optimistic person and my dreams remain my dreams, when you have these values of compassion, nothing can stop you,” she said.